For nearly a week, Karen McKinnon has stood up for her rights. She protested the flu shot mandated by her employer, Waterbury Hospital. In the end, however, it was the paycheck that changed her mind. McKinnon walked back into work today with dread and regret to get a vaccination she did not want. “I’m doing this against my will and in protest, but I’m doing it so I can keep my job,” McKinnon told the NBC Connecticut Troubleshooters in an exclusive interview. “It’s a two-income household and one income isn’t going to support us. So I have to return to work,” she said. NBC Connecticut first met McKinnon last week after she was put on an unpaid two-week suspension from her job as a surgical assistant. The NBC Connecticut Troubleshooters examined her rights. After a one-week unpaid suspension from work for protesting the flu shot, a 32-year Waterbury Hospital employee Karen McKinnon received it today in order to save her job. The NBC Connecticut Troubleshooters have an exclusive interview with McKinnon as she prepared for her first vaccination in 18 years. “I feel like they’re forcing me to do something against my will in order to maintain my job,” McKinnon said. McKinnon pored over documents at home for days trying to figure out an alternative to the shot, but there was not one. 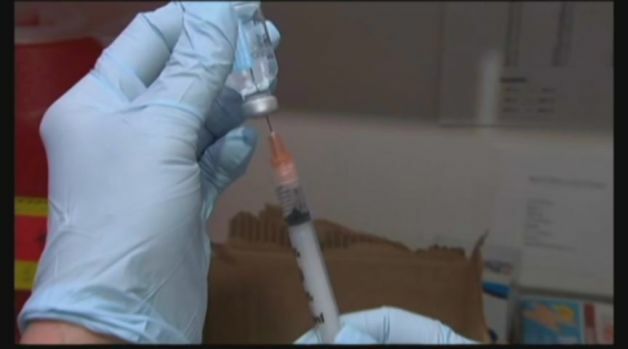 Waterbury Hospital maintained that getting the vaccine was the only way to return to her job. McKinnon has not received a vaccine in 18 years, when she last received a flu vaccination and reacted poorly. She is nervous about how her body will react this time. “I’m very concerned about that. That was my biggest reason for not taking it is because possible dangerous reactions,” she said Friday morning. Aside from the salary she needs, McKinnon said she is giving up her cause so she can continue serving those who need her most. “[I’m also doing this] to protect the patients,” she said.